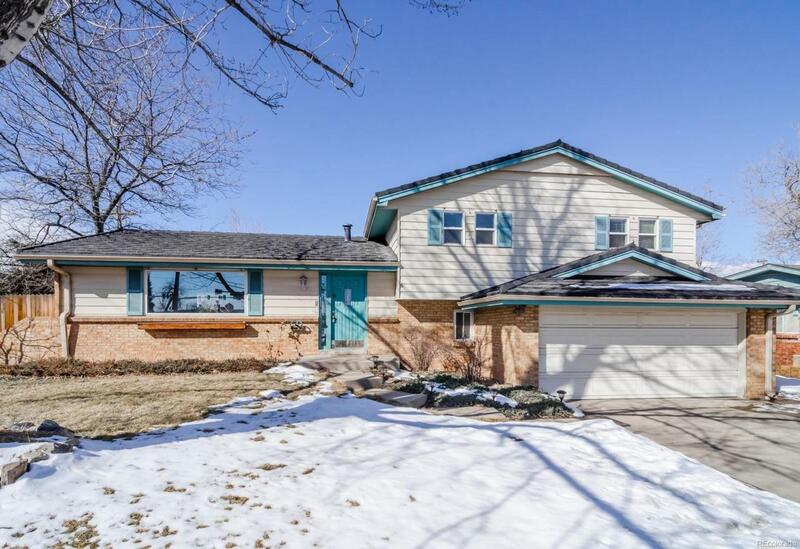 Amazing home nestled in the Applewood neighborhood of Golden. The home sits on a huge lot with gorgeous outdoor space and covered patio. The functional layout is great for entertaining or everyday living with a large living room off the entryway that flows into the dining room. The kitchen has a new stainless steel refrigerator and stove and flows nicely into the living room that is accented by a fireplace. This home has tons of updates with new windows, air conditioning, electrical panel, new hardwood floors throughout most of the main level, and a newer roof. The basement has a large great room that is great for a media room or kids play area, as well as a non-conforming bedroom. The home is conveniently located near the Maple Grove Elementary and The Manning School, as well as I-70 and major thoroughfares. The homeowners have paid attention to every detail and meticulously taken care of this home. The best value in Golden.